Short on Time? Then Go Play 9! Is your busy schedule is making it difficult to get out and play a full 18 hole round of golf? If you are short on time, then go play nine! 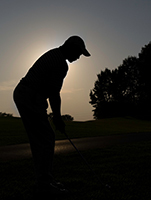 Unfortunately, 18 holes can take up to 4-5 hours to play on average, then add in the time to commute to the course, get there early to warm up, then you are looking at a fairly long day. If have not been able to play golf due to the cold winter months, this video provides a number of great tips to get your golf season started off right!